Many people move to this major metropolitan area for work, but whether you are looking for a career boost or just relocating to be closer to family, it's important to pick a great mover to assist you. Simonik Moving & Storage helps customers with all aspects of their long-distance moves. We're a reliable, BBB-Accredited team that has provided high-quality professional moving services since 1977. 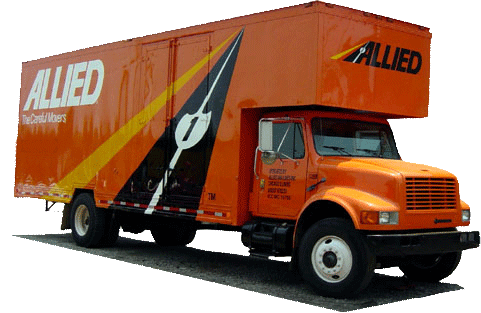 In addition, Simonik is an award-winning agent for Allied Van Lines, which makes us a part of a nationwide network of other moving and storage professionals. Together, these hundreds of potential contacts allow us to handle household moves to any location in the United States, including moving from NJ to Minneapolis-St. Paul. A moving company that can handle all of your relocation needs, from packing to shipping, is vital. Regardless of size or scope, your family's move deserves the best care and attention. Simonik will do everything we can to ensure your satisfaction, starting with a free, at-home consultation and estimate of moving costs. When you choose us to help with moving to Minneapolis-St. Paul from New Jersey, we'll also assign a Relocation Coordinator to your project. Our coordinators are skilled experts who can help navigate you through the moving process and answer any questions or concerns you have too. If you need additional short- or long-term storage for your household items, Simonik is glad to provide it in our secure warehouse facility. All of your items will be kept safe in containers designed for long-distance shipping. We can keep these belongings in our facility for any length of time while you complete your New Jersey to Minneapolis-St. Paul move. We are proud to serve households throughout North and Central Jersey, including Hunterdon, Mercer, Middlesex, Monmouth, Morris and Somerset counties. Our team goes above and beyond for customers, a practice which has earned us the 'Mover of the Year' award from the New Jersey Warehousemen & Movers Association. Simonik is also a ProMover member of the American Moving and Storage Association, a position which allows us to stay informed about the specific requirements of long-distance relocations. We'll be able to handle your move from NJ to Minneapolis-St. Paul with ease. Simonik Moving & Storage can answer any questions you may have about our moving services via a quick phone call. Find out more about what your NJ to Minneapolis-St. Paul moving plans require. Or, you can fill out our online quote form to receive a free, no-obligation moving estimate!